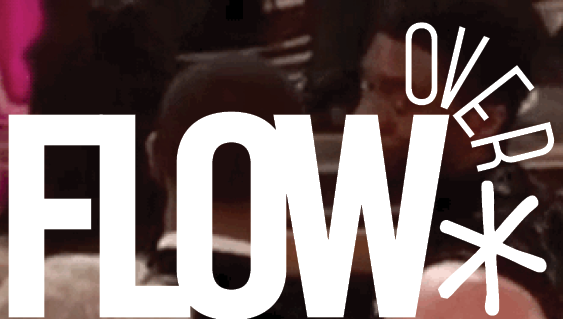 Flow is turning 5—come celebrate! Downoad the Flyer and feel free to distribute. 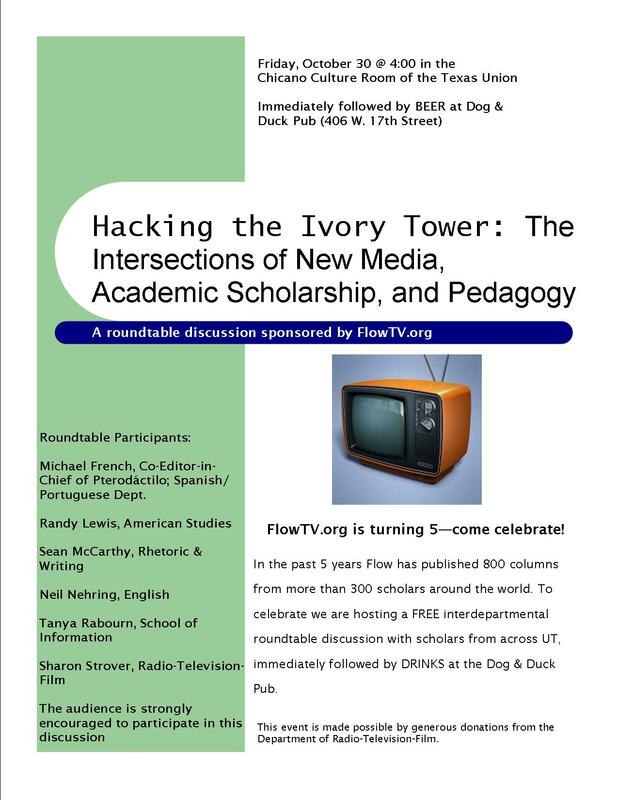 Why: In the past 5 years, FlowTV.org, Radio-TV-Film’s online journal of new media and television, has published 800 columns from more than 300 scholars around the world. To celebrate we are hosting an interdepartmental roundtable discussion with scholars from across UT, immediately followed by DRINKS at the Dog & Duck Pub. Michael French, Co-Editor-in-Chief of Pterodáctilo; Spanish/Portuguese Dept. This event is made possible by generous donations from the Department of Radio-Television-Film. I had a great time at this event, thanks for putting it on! Did anyone record this? Some colleagues who missed it would like to hear what happened. It was indeed recorded — we’re working on making audio/visual excerpts available, potentially through the site. Every body remembers that men’s life seems to be very expensive, however people need money for different things and not every one gets big sums money. Thus to get quick personal loans and just short term loan would be a right way out.